Bob Moore Auto Group offers customers the highest levels of customer service while providing exceptional selection, service and respect to all. Proudly Serving Drivers from Oklahoma City, Edmond, Norman, Tulsa Moore and Beyond! experience like no other. Our business is focused around the concept of respect. Respect for ourselves. Respect for one another. And above all, respect for our customers. That philosophy has allowed us to grow into the largest automotive group in Oklahoma. Our common purpose is to provide opportunities to fulfill dreams. We do this by delivering the best car shopping, buying and service experiences with the utmost respect. We hope you will agree! At Bob Moore we sell and services a myriad of automotive brands including Audi, Buick, Cadillac, Chrysler, Dodge, Ford, GMC, Infiniti, Jaguar, Jeep, KIA, Land Rover, Maserati, Mazda, Nissan, Porsche, Ram and Subaru. We offer 18 different brands to be exact! We encourage you to peruse our vast online inventory to view the latest makes and models available. Once you eye that one that you like, click to secure your price or ask questions live with our chat or be contacted by one of our dedicated team members. If you’re an Oklahoma City driver looking for an affordable, pre-owned vehicle that you can rely on, look no farther than our used inventory which houses a variety of pre-owned cars, trucks and SUVs. No matter what your automobile preferences are and regardless of what budget you are working with, our finance team strives to work diligently with our customers and get you on the road fast! We know the car buying process can be stressful which is why here at Bob Moore we work to lessen our customers load and help them get behind the wheel of a new or used car as stress and hassle free as possible! To a find a location nearest you, check out the Locations tab and input your address to get unique directions from where you live! We look forward to seeing you! You have preferences. You also want to find the vehicle that grabs your attention. Thankfully, at Bob Moore Auto Group we have over 4,000 vehicles in stock to choose from including many Ford, Cadillac, Nissan, RAM and Jeep options and much more! That’s because our online inventory is always changing in order to reflect the latest arrivals in our showroom, including the likes of some of most popular models such as the Ford F-150, Cadillac XT5, Nissan Murano, RAM 1500 and Jeep Cherokee. When looking for that ride that screams ‘you’ it should be stress-free. That’s why we even offer our Bob Moore Express Buy option online so your car buying experience is exactly that, YOURS. Mr. Robert W. Moore began in the auto industry in the early 1950’s, with Bob Moore Oldsmobile in Wichita, KS, and the guiding principles of hard work, great customer service, honesty and respect. 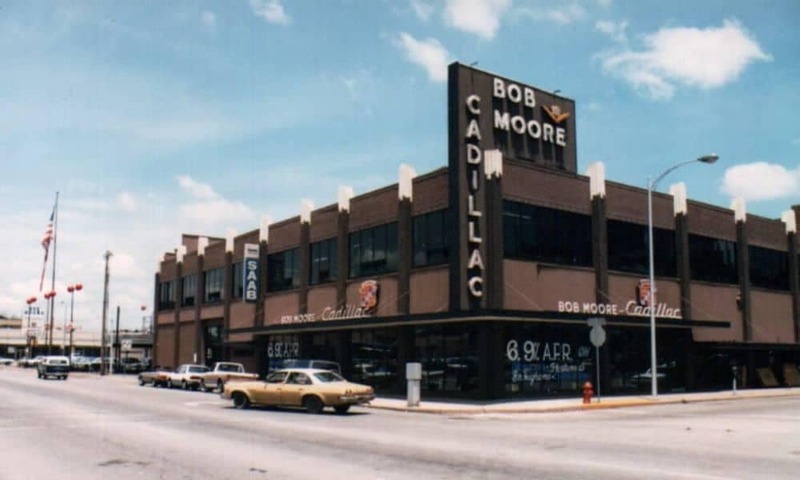 In 1970 Bob Moore had the opportunity of relocating to Oklahoma City and purchasing the first Cadillac dealership, forming the cornerstone of today’s Auto Group. 1998 brought forth a new generation, as Bob Moore’s son Mark Moore assumed the position of President and CEO. Building on his father’s legacy, Mr. Mark Moore has led the Auto Group into an unparalleled period of expansion and growth, now with 15 dealerships, 18 brands, and 1 collision center, located in the communities of Oklahoma City, Tulsa and Midland, TX. 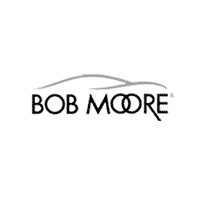 Today, Bob Moore represents the gold standard for dealerships throughout the region. Our expert staff, attractive showrooms, and state-of-the-art service centers provide a one-of-a-kind customer experience. Experience the Exception is what we like to say! It’s also the reason generations of Oklahomans keep coming back to the Bob Moore brand. Respect is a timeless virtue. It’s what made us what we are. And it’s the value that will help us build a successful future for our company. Our mission is clear, we embrace our industry while continuing to be a people focused company which is known for the way we treat our customers. We are committed to being great. We are committed to being great and doing things right. Respectfully, Bob Moore is more than just our tag line. These words embody our culture and values of our company. Today, Bob Moore represents the gold standard for dealerships throughout the region. Our expert staff, attractive showrooms, and state-of-the-art service centers provide a one-of-a-kind customer experience. Our mission is clear, we embrace our industry while continuing to be a people focused company which is known for the way we treat our customers. We are committed to being great. Experience the Exception is not only a Bob Moore tag line, it is our way of thinking. In the words of our founder Bob Moore; “You can’t buy a good name; you have to invest a lifetime of doing the right thing.” We are committed to being great and doing things right. All of which start with our employees. Our employees must be an advocate for our common purpose, mission and CORE values and live it every single day. To provide opportunities that fulfill dreams. To embrace the automotive industry while being a people focused company which is known for the way we treat our customers. We are committed to being great. The employer of choice because of opportunities and culture. The dealership of choice because of exceptional customer service. The dealer partner of choice by manufacturers because of our market representation. 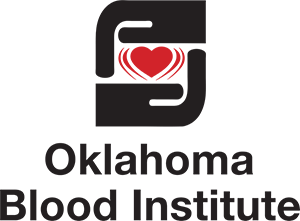 Oklahoma Blood Institute (OBI) is the ninth largest, non-profit blood center in America. OBI donations stay within Oklahoma, so blood donors know they are saving the lives of people in their communities. We take great pride in our annual blood drive being the biggest donation event for OBI. One OBI blood drive donation can save up to 3 lives, and since 2000 our drives have saved over 600,000 lives. Bob Moore awards a lucky donor with a new car each year. 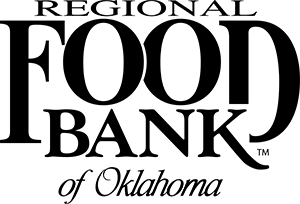 The Regional Food Bank of Oklahoma provides enough food to feed more than 90,000 people each week – nearly half of which are children. Oklahoma ranks among the top five states in the nation in the number of people who go hungry. 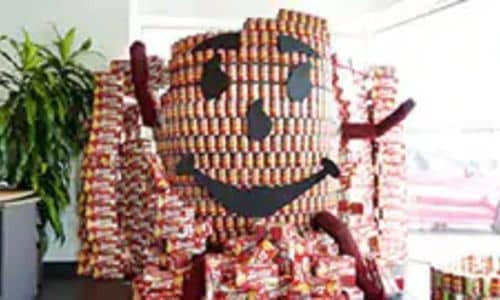 The Bob Moore annual food drive raises approximately 60,000 pounds of food each year. Together, we can fight hunger. Please donate non-perishable items at any of our locations in the month of October. 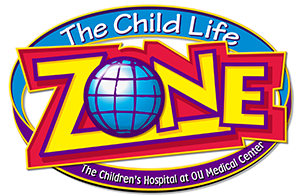 We are privileged to partner with the much loved, doctor free center known as The Zone at OU Children’s Hospital. We host four hands-on gift shop events annually, funded by employee donations, for children undergoing medical care. 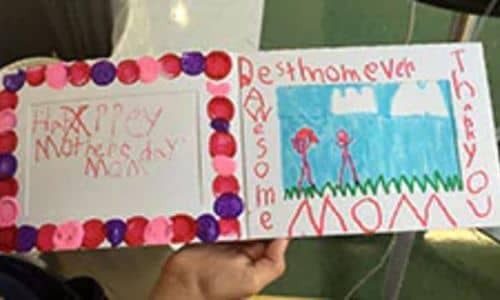 Children are invited to ‘get away from it all’ to make crafts and shop for their loved ones. It’s hard to visualize the value we bring, but rest assured it’s a wonderful reminder of how fragile life is and how much it means to these young patients to take respite from their care in a setting that allows children to be children. Through our volunteering, we have brightened many spirits! We’re proud to sponsor Oklahoma City’s very own NBA team, the OKC Thunder! 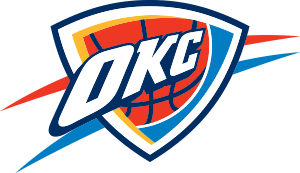 As part of the league’s Western Conference Northwest Division, the Oklahoma City Thunder represents our city and our state by embodying values like teamwork, hard work, and community pride! Go Cowboys! 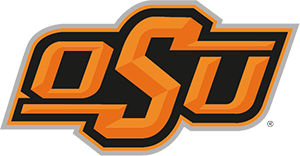 Bob Moore is proud to sponsor Oklahoma State University across a number of programs! This year honoring Oklahoma teachers with the Teacher of the Game promotion. We’re committed to ensuring a brighter professional future for our state’s best athletes! Dealing for Dreams, a fundraiser benefiting Make A Wish® Oklahoma. The purpose of the event is to have a wonderful evening raising money to grant Oklahoma Children’s dreams through the Make A Wish® Foundation. 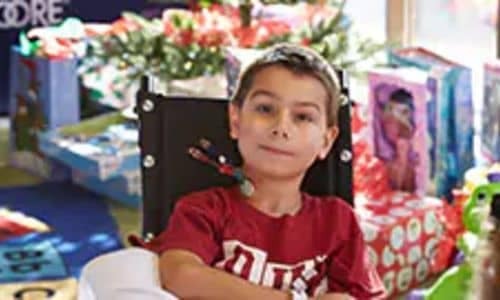 This charity makes dreams come true for children who are battling life-threatening medical conditions. Palapastock is a private fundraiser hosted by Fields & Futures founders Liz and Tim McLaughlin. Palapastock is a fun night of food, drinks, fireworks, auction, beautiful cars and more! All proceeds go to athletic field renovation and maintenance for Oklahoma City Public Schools. As one of the premier performing arts centers in the country, the Oklahoma City Broadway Civic Center is synonymous with inspiring entertainment since 1912. Bringing music and theater to an unforgettable stage, Bob Moore Auto Group is proud to sponsor and continue the tradition of presenting the best theatrical entertainment and concert events in OKC. Red Andrews park is located at 720 NW 8th, the area in the west end of Midtown and sometimes referred to as “SoSA” (South of St. Anthony). Surrounded by new modern single-family homes, St. Anthony, Valir, & Bob Moore Auto Group corporate office. Architect Brian Fitzsimmons redesigned the once parking lot and gymnasium into the only green space in Midtown. The parking lot was replaced by a walking trail, lawn and park amenities. The pronounced entrance pavilion that can double as a stage for the sloped lawn will provide space that can be used for music festivals. Creating a magical experience to our most deserving children, Bob Moore Auto Group is delighted to partner with Make-A-Wish Oklahoma. By granting life-changing wishes to children diagnosed with threatening medical conditions, we believe this simple gesture can be a game-changer. The Bob Moore team walked and donated $15,000 to Make Wishes happen for these deserving children. Free To Live Animal Sanctuary is the largest, no-kill animal sanctuary in Oklahoma City. With an animal friendly staff that extends to all Bob Moore dealerships, it goes without saying how import this cause is to us. With our help, strays, abused or mistreated, neglected and even extreme medical case domestic animals live out their lives with love, companionship and a sense of family. What can you expect when you enter the Bob Moore Auto Group showroom? Well, aside from a warm welcome, a great selection of new and used cars to choose from, as well as onsite auto service, a vast collection of parts and a financing team that understands the needs of drivers like you. If that sounds good to you, come see us today in Oklahoma City, Oklahoma. You have preferences. You also want to find the vehicle that grabs your attention. Thankfully, at Bob Moore Auto Group we have many Ford, Cadillac, Nissan, RAM and Jeep options to choose from. That’s because our online inventory is always changing in order to reflect the latest arrivals in our showroom, including the likes of the Ford F-150, Cadillac XT5, Nissan Murano, RAM 1500 and Jeep Cherokee. When looking for that ride that screams ‘you’ it should be stress-free. That’s why we always encourage drivers to relax, and try all the options until you’ve found the right fit. How many Oklahoma City drivers are shopping on a budget? Enough that the team at our local dealership knows that we have to keep a great stock of used cars, trucks, and SUVs available in inventory. Many shoppers either can’t afford the payments that come along with a new car, or they just prefer to save money by choosing a safe, reliable, and affordable pre-owned or Certified Pre-Owned vehicle. Whatever your reasons for buying a used car, you’ll always find a variety of great vehicles from today’s top and most popular auto brands. And, with competitive prices offered on every pre-owned model for sale on our lot, you won’t find a reason to visit any other used car dealership in Oklahoma City. Finding your ideal vehicle is the first half of the car buying equation. The second half is securing a car loan or lease that fits your current financial requirements. That’s something the team at Bob Moore Auto Group is trained to provide, and they do so by sitting down with you, one-on-one. That way, we can learn more about the kind of payment you’re comfortable with, your long-term financial goals and address any other questions or concerns on your mind. To get the most out of your vehicle in terms of a long-lasting and quality drive, our relationship with you here at Bob Moore Auto Group is going to be ongoing. That’s because we want to ensure your safety and driving efficiency via our onsite car service and repair center in Oklahoma City. We have the latest tools and equipment to diagnose, repair, and fix your automotive needs, and of course we only use the highest quality of Ford, Cadillac, Nissan, RAM, Jeep parts to keep your vehicle integrity high, and you enjoying a smooth drive no matter where you go. As you can see, Bob Moore Auto Group is committed to serving the automotive needs of Ford, Cadillac, Nissan, RAM and Jeep drivers throughout Oklahoma City, Edmond, Norman and Moore. If you’re ready to put us to work, come down to one of our many locations in Oklahoma City, OK, to get the ball rolling today. We look forward to serving you! Mr. Robert W. Moore began in the auto industry in the early 1950s, with Bob Moore Oldsmobile in Wichita, KS, and the guiding principles of hard work, great customer service, honesty and respect. 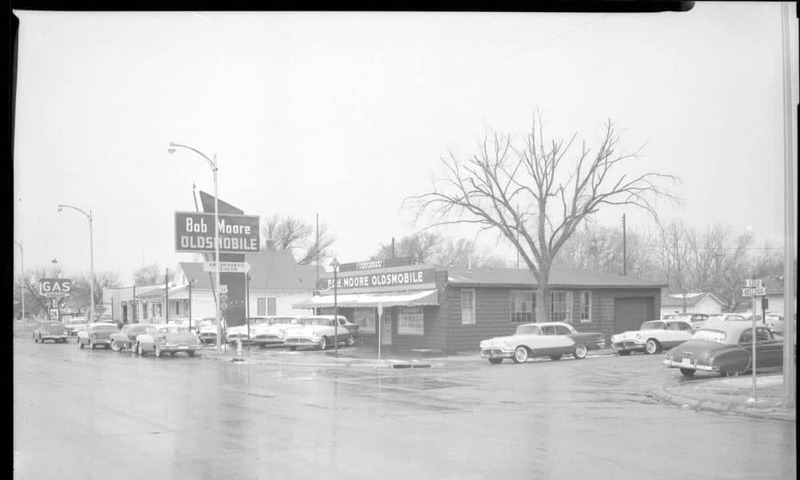 In 1970 Bob Moore had the opportunity of relocating to Oklahoma City and purchasing the first Cadillac dealership, forming the cornerstone of today’s Auto Group. 1998 brought forth a new generation, as Bob Moore’s son Mark Moore assumed the position of President and CEO. Building on his father’s legacy, Mr. Mark Moore has led the Auto Group into an unparalleled period of expansion and growth, now with 15 dealerships, 18 brands, and a collision center, located in Greater Oklahoma City and Tulsa. Today, Bob Moore represents the gold standard for dealerships throughout the region. Our expert staff, attractive showrooms, and state-of-the-art service centers provide a one-of-a-kind customer experience. We even offer convenient, free Wi-Fi at all Bob Moore locations. We never stop in our quest for ceaseless improvement. Our showrooms and service facilities receive regular upgrades, and our knowledgeable staff completes ongoing training to provide you an incomparable level of service. At Bob Moore we haven’t forgotten our roots; integrity is at the heart of everything we do, and we’ll never forget the one thing crucial to our success – you. In the words of our founder Bob Moore; “You can’t buy a good name; you have to invest a lifetime of doing the right thing.” We are committed to being great, which starts with our employees. Our employees must be an advocate for our vision, mission and values and live it every single day. We treat you with respect and honesty at Bob Moore Auto Group, it’s a tradition.